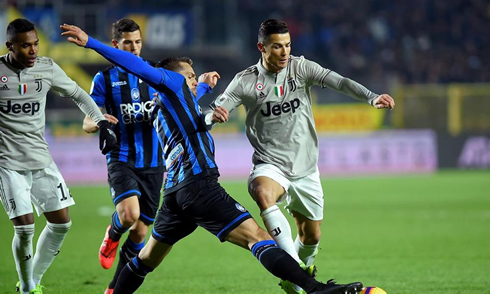 There are no second chances in the Coppa Italia and Juventus won't have the chance to defend their title this year after suffering a beatdown in Bergamo, in a 3-0 loss against Atalanta. Cristiano Ronaldo played the whole game, but couldn't make the difference tonight. If there's anything we can easily identify as being one of Juventus problems right now, that's their lack of attitude when approaching their recent games, especially in the first half. 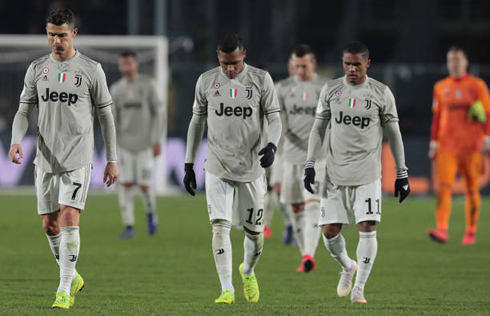 The league game against Lazio last weekend had already showed us some worrying signs from the black and white men, even though a late reaction there allowed Massimiliano Allegri to disguise the problem for a bit longer. This Wednesday everything collapsed and there's no coming back in the Italian cup. The first evidence we can find from tonight's encounter is that Allegri decided not to change many things in his starging eleven following last Sunday's extremelly difficult win in Rome against Lazio. At the back, the Italian manager only replced the injured Bonucci for Chiellini, keeping Szczesny, Alex Sandro, Rugani and De Sciglio in the lineup. Unfortunately, Chiellini would also pick up an injury in the first half and was forced to leave the pitch before the first half hour. In midfield, Allegri relied again on Matuidi and Bentancur, while replacing Emre Can for Sami Khedira. 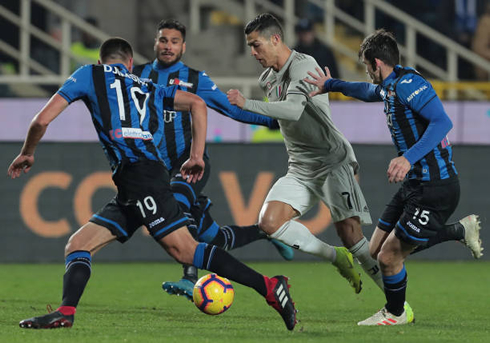 That didn't play in his favor though, as Juventus struggled to connect their game until changes were brought on later in the second half. Upfront, Cristiano Ronaldo and Paulo Dybala kept their starting spots and Bernardeschi relegated Douglas Costa to the bench. If we look at the half-time stats from Juventus last two matches and combine the two, we see that the Italian champions only made 2 shots and didn't hit the target in a single occasion. Not only that, but they allowed their opponents a total of 18 shots (10 on target). That's not compatible with a team who aspires to win every game they walk into. Tonight, it's hard to leave a compliment to any Juventus' player. Everyone had a bad game and Atalanta managed to capitalise on that. The opener in the 37th minute was born in possession lost by João	Cancelo, just like the hosts' third and final goal was the result of an horrible pass from De Sciglio. It didn't matter where you looked at tonight, everyone was failing to deliver as they should. Even though Atalanta are only 7th in the league this year, they do have the best attack in the competition and they certainly made Juventus pay for every mistake they commited in Bergamo. Attackers: Bernardeschi, Cristiano Ronaldo, Dybala. 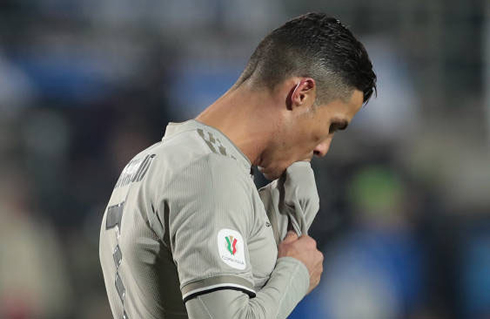 Cristiano Ronaldo next game for Juventus is on January 30 of 2019 against Parma. You can watch Juventus vs Parma, Girona vs Real Madrid, Barcelona vs Valencia, Chelsea vs Huddersfield Town, Inter vs Lazio, and Hannover vs RB Leipzig, all matches provided from our football live and soccer game pages.